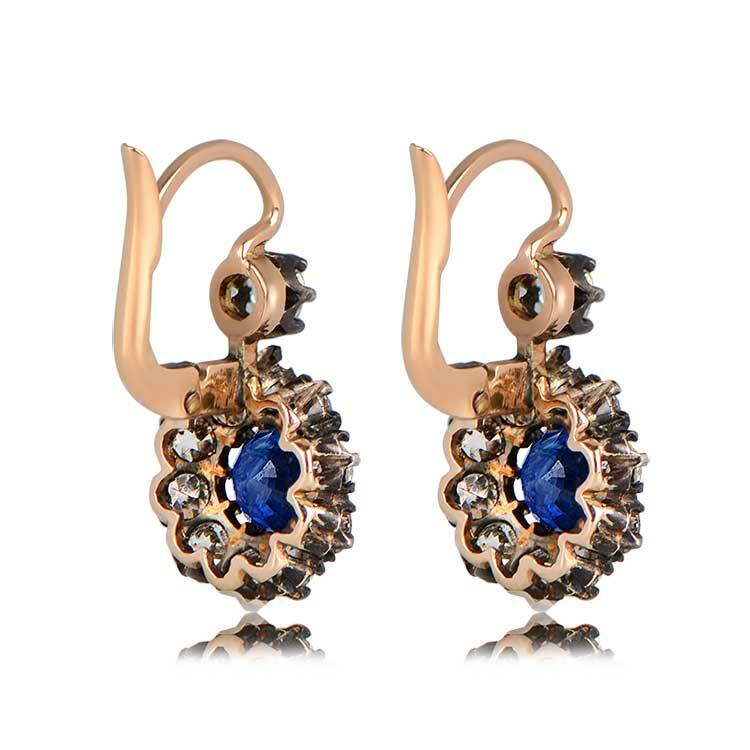 A floral pair of Antique style earrings that center two natural sapphires weighing approximately 1.60 carats total. 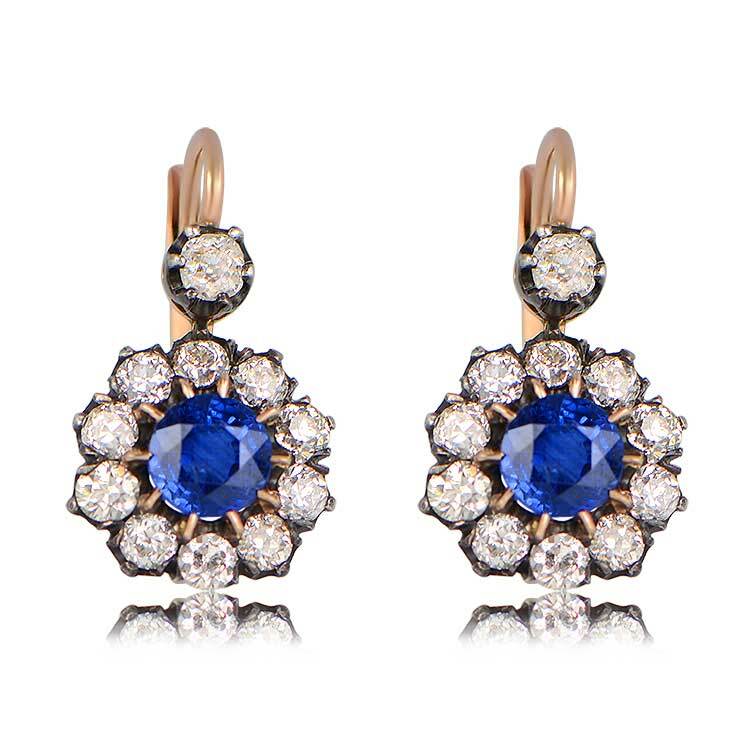 Surrounding the sapphires is a cluster of antique old mine diamonds with a total approximate weight of 1.60 carats. 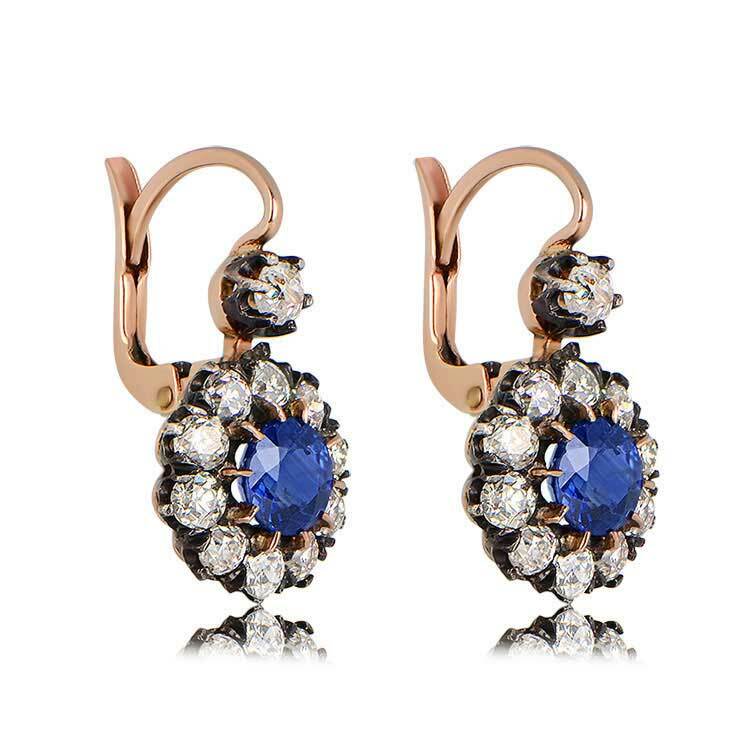 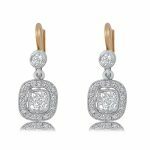 These earrings are silver and 18k rose-gold, hand-crafted by our jewelers in the style of the Victorian era. 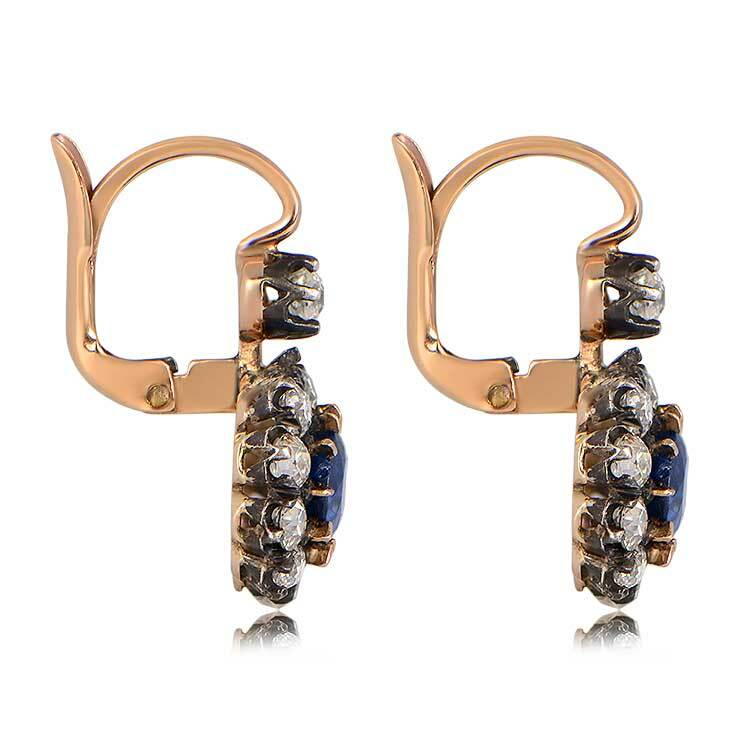 The measurements of the earrings with the cluster is 11.50mm. 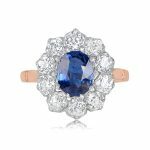 SKU: gs524 Categories: Sapphire Engagement Rings, Vintage Earrings - Contact us and request additional pictures.